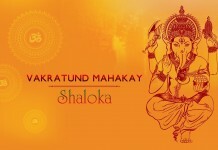 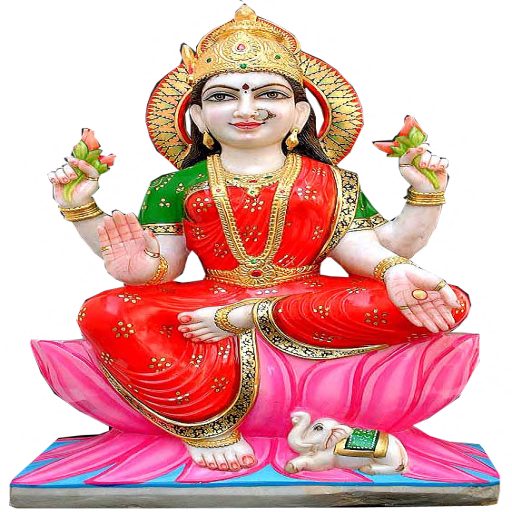 This Hindu goddess symbolizes wealth, beauty, spiritual and temporal prosperity. 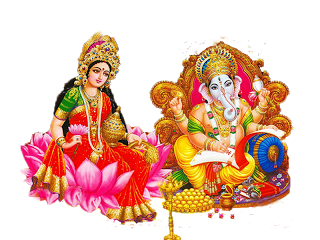 Legend has it that Lakshmi emerged from the churning ocean of milk, or the primordial cosmic ocean. 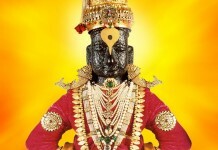 She is the consort of Vishnu, the Hindu god. 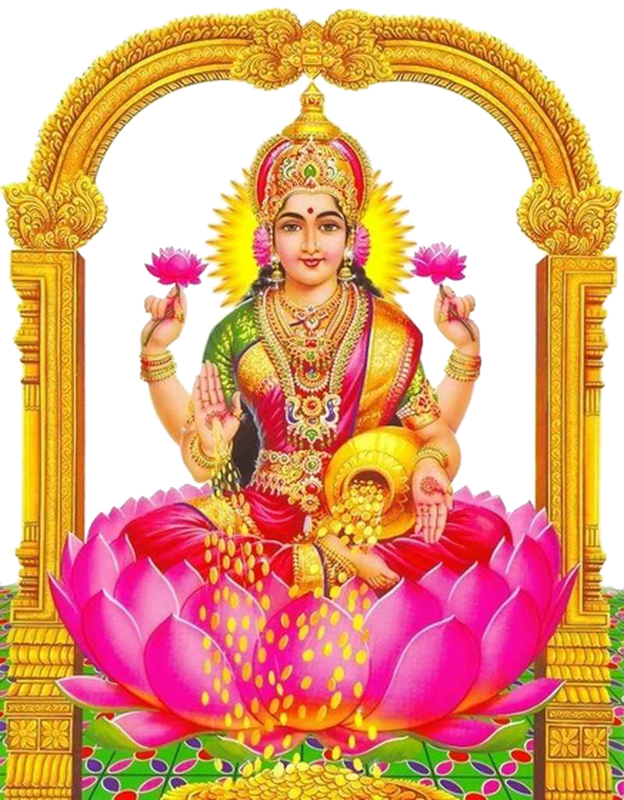 Laxmi word derived from Sanskrit word which actually means “purpose” or “goal.” In connection with this regard, Lakshmi also represents the divine mother, bringing love and grace. 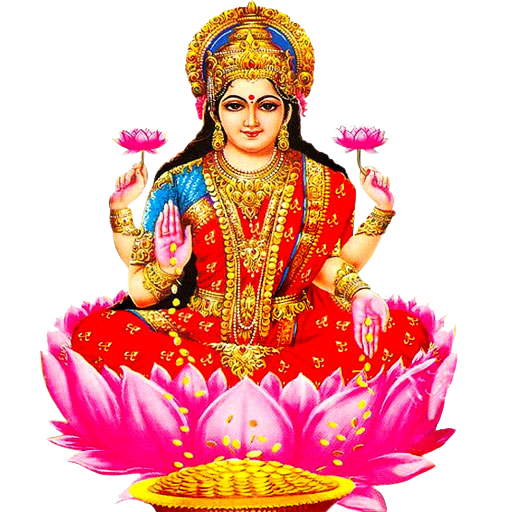 Lakshmi represented the goddess of a youthful and beautiful woman, either standing or sitting on an open lotus flower. 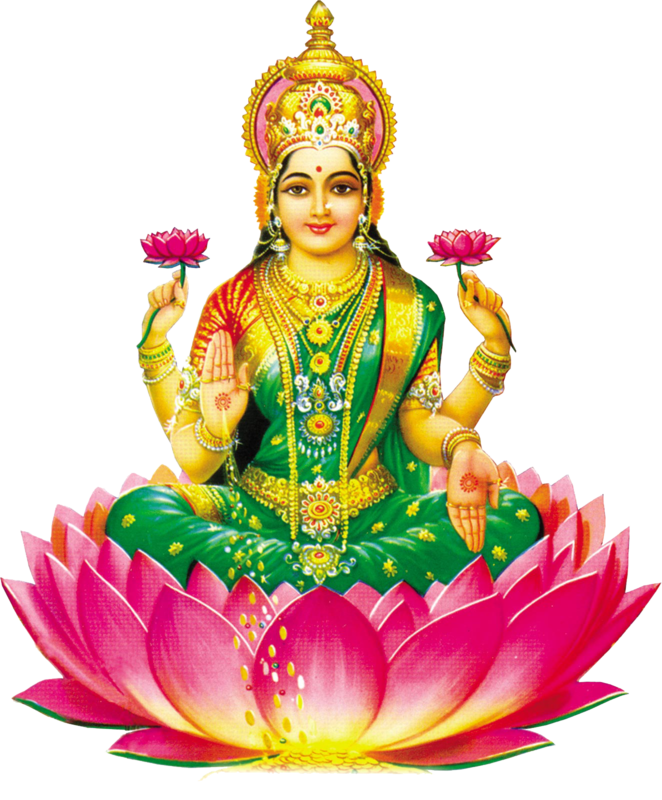 Lotus symbolizes spiritual purity and perfection. 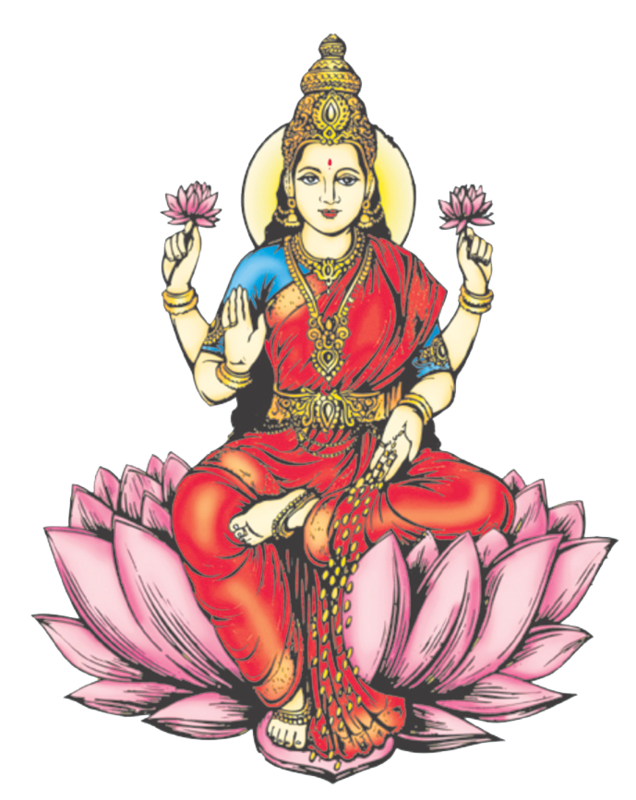 Lakshmi often portrayed with four arms, symbolizing the four corners of life, justice, desire, wealth, and liberation from the cycle of birth and death. 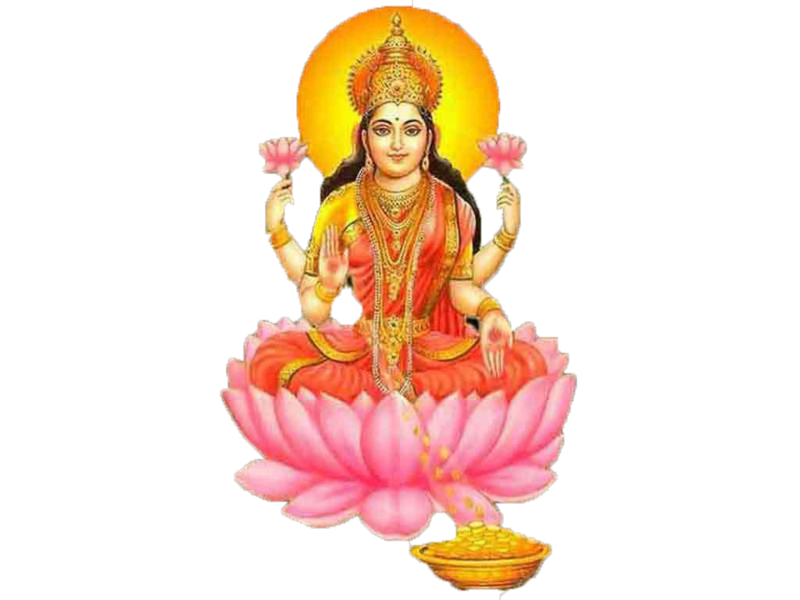 She holds a gold coin or gold coins flowing flowing from her hands, indicating that a steady stream of wealth. 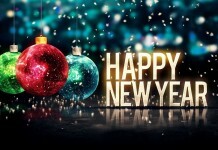 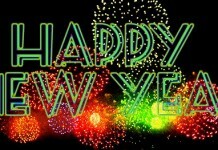 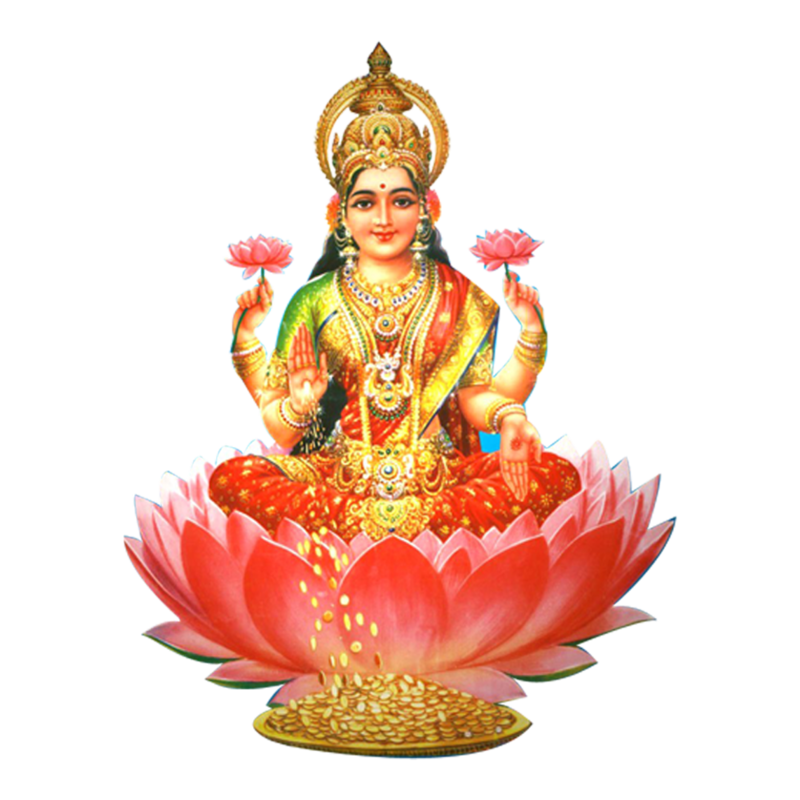 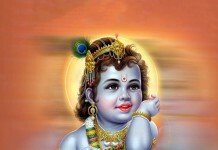 Download Lakshmi PNG images transparent gallery.